Maximum weight when packed 25KG and maximum length when packed 300cm. A pallet is designed to support goods whilst in transit. This service is recommended when sending fragile goods. It is essential that the goods are secured in this way to ensure they do not move during transit. These rates are based on delivery of our standard and online calculated bespoke products. For unusual large or bulkier shipments (usually bespoke products) these rates will vary. Our lead times are stated with the products. For faster deliver or specific delivery requirements our rates will vary – please contact us for advice. 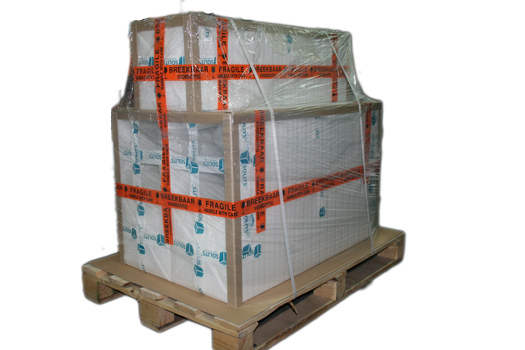 If your combined order exceeds the weight limit of 25kg, we are obliged to arrange a pallet shipment. If the product is too heavy or bulky the recipient may be required to move it from the courier’s vehicle to the front door. Please ensure that the courier can deliver the shipment or pallet to your front door. The delivery premises must be accessible for the driver to ensure a door-to-door delivery. We can only ensure front door delivery. Please, note that that as of March 29th, 2019, UK import charges may apply to all deliveries coming from the EU. 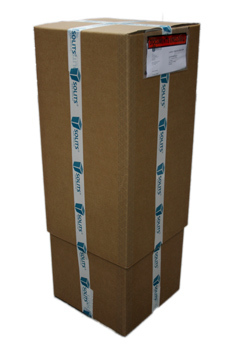 We take the greatest care with packaging and shipping your plinths. For every type of plinth we have developed our own way of packaging thanks to our many years of experience. Every shipment will be packed and readied for shipment by our own professional employees in our own warehouse. Glass plinths and products will always be placed in a bespoke made crate. Oak wood products and mooring posts will be shipped strapped on a pallet due to their significant weight. And our MDF plinths are either shipped in a box with added shock absorbing foam protection or combined and placed on a pallet for a multiple item order. A large part of our products will be delivered straight from our warehouse. This means that we can deliver the goods within 2-4 workdays after we receive your order. We obviously will strive to achieve the shortest delivery time possible. A small part of of our products will have a backlog or are only made when requested. You will see the expected lead time noted next to the article. Some products, including bespoke products, will only be manufactured when ordered, lead times will vary per product. We will always try to give you an estimate of the lead time in advance, and we will make every effort to achieve the communicated delivery time. We will ship an order which consist of various products with different leadtimes as one consignment. In that case the product with the longest lead time will be used as the estimated delivery time. If you would like to receive products from that cosnigment at an earlier delivery date than please get in touch with us so we can discuss how to meet your requirements. Please, take potential holiday season delays into your kind consideration when placing an order. Please, take into consideration potentially longer lead times as of March 29th due to the Brexit. Our plinths and pedestals will be shipped and delivered by our logistics partners DPD (small deliveries) and Dachser (Pallet deliveries). We have worked with these over many years and trust their correct and timely delivery. Whenever possible, you will receive a track and trace code from the relevant shipping company. If required and/or specifically requested, you will be called in advance by the shipping company to set a specific time slot for the delivery. Deliveries typically take time on week days between 8 am and 4:30 pm. We would like to point it out that certain products can be difficult. As a result, we ship heavy/fragile items on a pallet, which can only be delivered by our forwarding company to the entrance of the premises. We recommend that you organize help for transport to the site. Please inform us in advance if the delivery can not be done by truck due to lack of space/road works/any other circumstances. We have manufactured, wrapped and shipped your order with the greatest care and attention. However if your shipment has been damaged during transportation or delivery please notify us immediately by email (info@plinths.co.uk) or by phone 02072672421. You can accept the goods and mark them as ‘damaged’ on the receipt, decine the goods or not sign for the goods. We can straight away start finding a suitable solution – can we kindly request you to take photos of the damaged packaging and products. To return your item(s) please use the original packaging or box. For many years we have been delivering our products throughout Europe and other places in the world. Every country requires specific transport and procedures, this is why it is difficult to list every possible delivery option available. Even so, we will have the required experience and expertise. View the costs for delivery of your products in various European countries in above text. If the destination country is not listed than please contact one of our colleagues to find out the costs to the required delivery address. View here the costs for shipments to other countries where we can deliver your products. When receiving your goods, please check them carefully before signing. When signing for the goods, you are signing to say you have received the goods in good condition. When signing this, the insurance is no longer available and in the eyes or the seller, the courier and the law you received the goods in good condition. If you are unable to check the contents of the package at that moment in time please sign for the parcel as "unchecked”. Failure to do so may affect any warranty claims that you make thereafter. What if there´s a problem with my order? 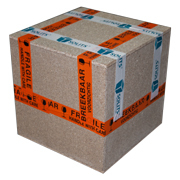 Every effort will be made to ensure that the goods you have ordered arrive undamaged and without defect. 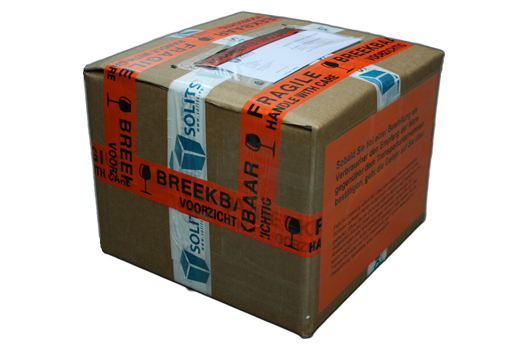 If the goods are found to be either damaged or defective in any way at the time of delivery, you must mark this on the delivery note immediately, which will be provided by the delivery team. Failure to do so may nullify your opportunity to get a claim paid. If damage is discovered after delivery, you must contact us on the day of delivery. Simply take a digital photo of the item and of the shipping container it arrived in, attach them to an email and send to info@plinths.co.uk. Please include in the body of the email: your order number, the shipping id or item number, a brief description of the reason for the return. To return your item(s) please pack them in the original tube or box.